There is a new trend in the health and wellness industry that is becoming increasingly popular. Perhaps you have heard of it? – It’s whole body cryotherapy. You may be wondering what the trend is all about and why so many people are raving about it. To educate you about this incredible form of treatment for health and wellness, please keep on reading. 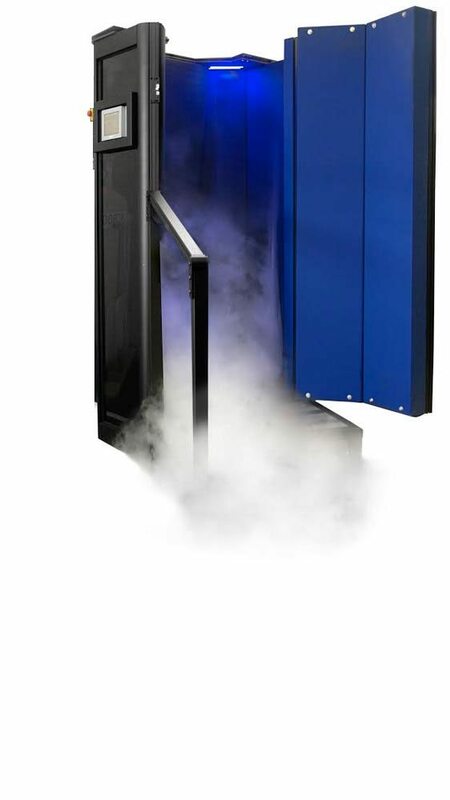 Whole body cryotherapy may be new to the health and wellness industry in the United States; however, it has been used for decades in Japan and Europe. In fact, it was first developed by Japanese scientists to treat the symptoms of Rheumatoid arthritis. During a treatment session, the body is exposed to a temperature of around -150 degrees Fahrenheit for a period of two to four minutes. The rapid exposure to subzero temperature causes the cold receptors in the skin to activate the nervous system. It actually tricks the brain into going into survival mode, and as a result, produces powerful endorphins and other naturally occurring chemicals that make the nervous and immune system go into overdrive. The cold temperatures also help to relieve swelling in the joints, the ligaments and the tendons. Whole body cryotherapy provides a wealth of benefits. Here is a look at just some of the benefits that people have experienced. Sports Recovery – Some of the world’s leading athletes using whole body cryotherapy to increase sports recovery. Because the treatments help to ease inflammation in the joints, ligaments and tendons, it can help to reduce swelling and pain and lead to quicker recovery time, which can boost performance. It can also help to prevent delayed onset muscles soreness. Autoimmune Disease – This treatment has also been used to treat a variety of autoimmune diseases, including fibromyalgia, chronic lower back pain, osteoarthritis and arthritis. The cold temperatures help to reduce swelling, thereby alleviating the pain that is caused by these autoimmune conditions and restoring mobility. Weight Loss – Many people use whole body cryotherapy for weight loss, too. The exposure to frigid temperatures boosts the metabolism and increases energy levels, which can have a dramatic impact on weight loss. Some of the top celebrities use this treatment as a routine part of their diet routine. Boosts the Immune System – Whole body cryotherapy can also help to boost the immune system and ward off common illness, such as colds and the flu. The cold temperatures activate the immune system, which allows you to fight off infections more effectively. If you are interested in learning more about the benefits of whole body cryotherapy or you would like to schedule an appointment, please contact Body Beautiful. We are conveniently located near all points of interest in Suffolk County, including the Hamptons, Wine Country and Montauk Point.